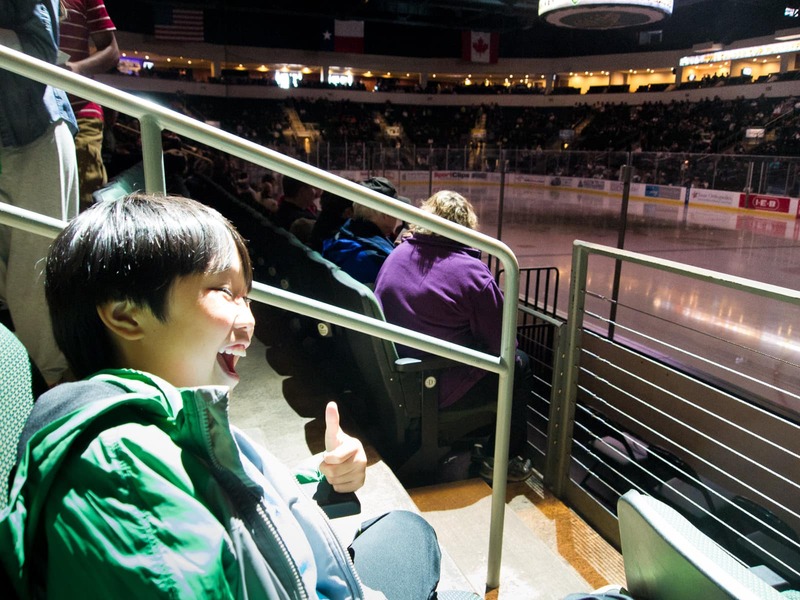 Koa and I went to see a Texas Stars hockey game the other night and had a wonderful time. I had gotten two free tickets from HEB for a playoff game and I was expecting our seats to be up high away from the action, but to our surprise, the seats were second-row! Being so close to the action was really exciting and intense. You could hear all the checks into the boards and when fans banged on the glass, it was so loud! 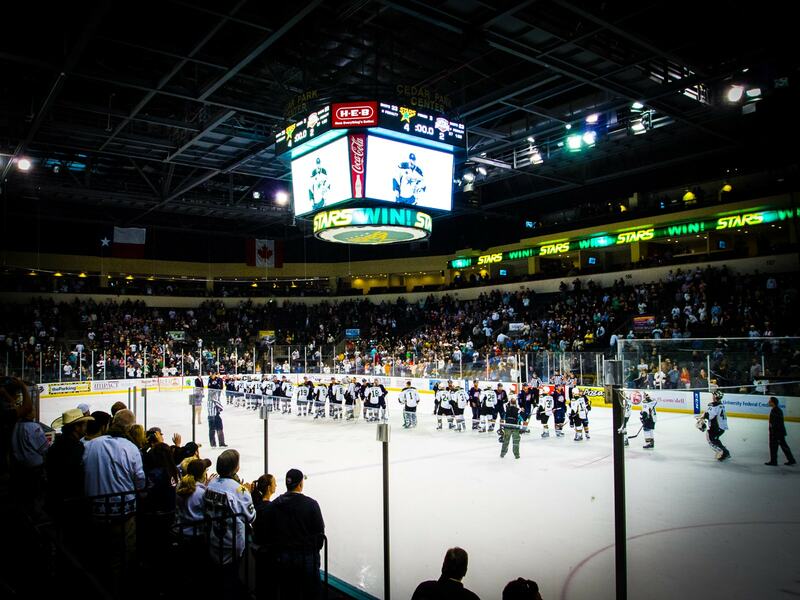 What made it extra-fun was that it was a playoff game and the Texas Stars hockey fans were so into it! The whole game was wildly entertaining, even the intermissions if you can believe that. There was a lot of dancing, t-shirt giveaways, and even a contest on the ice. In addition, there was a giant Mighty Fine Burgers Mylar blimp that puttered around the arena by remote control, dropping free burger coupons as it went by. Unfortunately we didn’t get one of them but it was still fun to see. 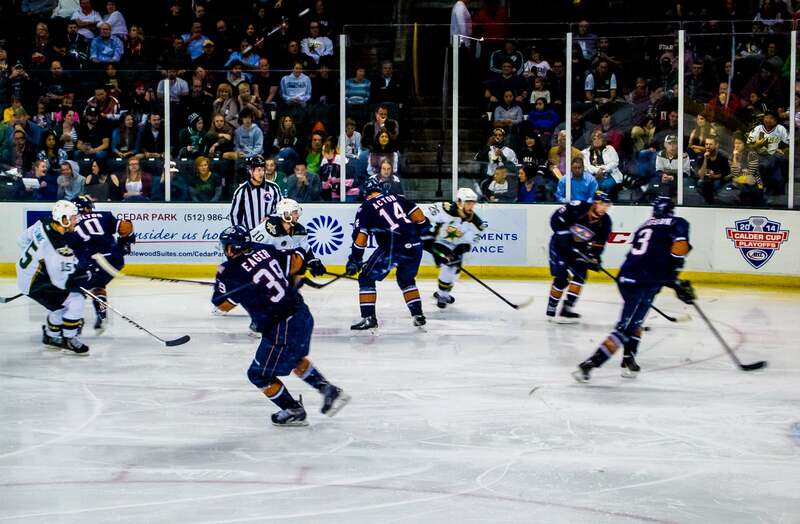 What made it a perfect night was that the Texas Stars won the game 4-2 (including an empty-netter), and took the opening series from the Oklahoma City Barons. I’d love to go back for another game sometime, but hopefully we can score some free tickets again!